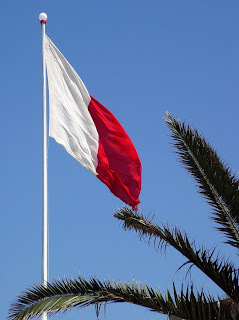 Malta's first flag whilst being part of the British Empire took its inspiration from Britain's White ensign. The cross of St George, with the Union Jack in the upper hoist. In Malta's history, there where the Knights of Malta, who used a red field with the white Maltese Cross. 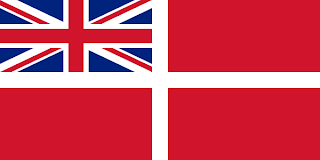 The flag for Malta as part of the British Empire took these colours and used them in the ensign. This time, a red flag, with a white cross. With the Union Jack in the upper hoist. 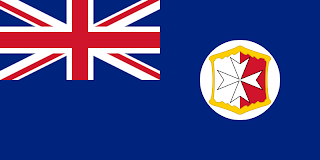 The second ensign moved back to a blue ensign with a Maltese shield in a white disc. The Maltese shield is bicolour white and red, overlaid with the Maltese cross, and surrounded by gingerbread. 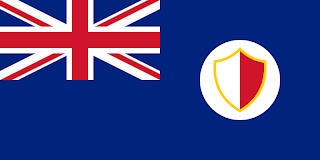 From 1898 to 1923, the ensign was altered again with the shield being simplified. It lost the Maltese cross, and took a pointed top, and edged in gold. From 1923 to 1943, another minor change. This time, the shield was directly laid on the flag, losing the white disc. 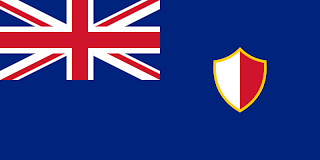 The final ensign from 1943 to Malta's independence included the newly awarded St George Cross. A red flat top bicolour shield on a white circle. 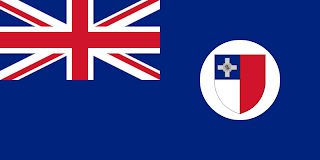 Now, the St George Cross was placed on a blue square in the upper left canton of the shield. Malta gained its independence from Britain in 1964, and adopted its current flag at the same time. 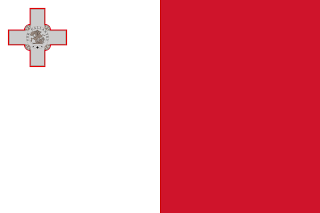 The Maltese flag is a simple bicolour flag of white and red, set against each other vertically. It is widely believed that Malta took the colours of red and white as their national colours, when in 1019, Count Roger I of Sicily gave to Malta, a set of banners. His banners where red and white check designs. On the Maltese flag, in the upper hoist, is the St George Cross.This medal was awarded by King George VI who gave the St George Cross for gallantry to the entire island in 1943. He was so moved with their heroic struggle to survive under constant attack from Germany and Italy, that he awarded Britain's highest civilian honour to all the islanders. Malta was unique until in 1999, when the Police Service of Northern Ireland was awarded the medal as a group. The St George Cross is fimbriated with a thin line of red, and within the medal, it declares "For gallantry." Malta is the only nation in the world that displays an award on its flag from another country.